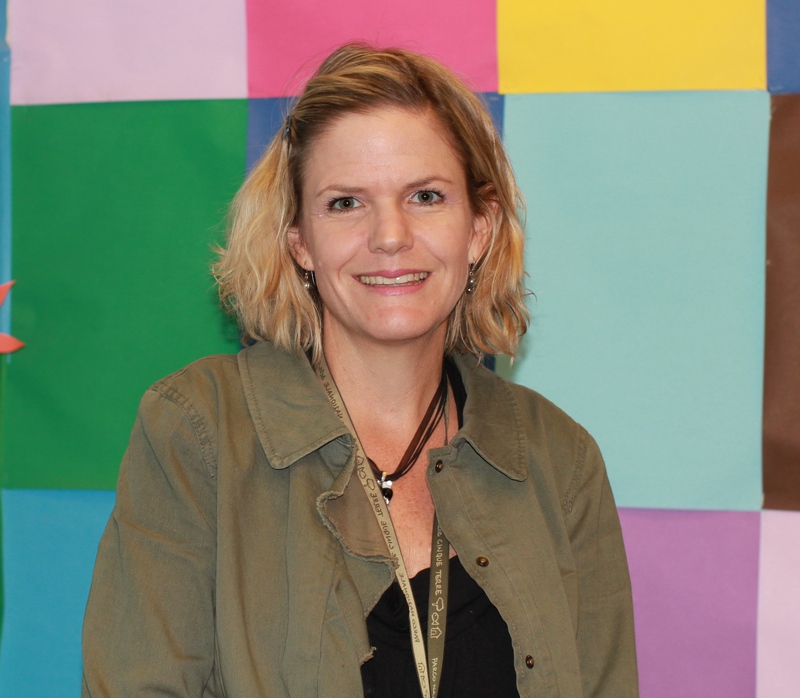 Anne Aliverti joined the fantastic staff at Bryant Elementary in the 2010-2011 school year. Prior to that, she taught Humanities to the hormonally-gifted at both Eckstein and McClure middle schools. Over some years, Anne also enjoyed special assignments in Seattle Schools, serving as a new teacher mentor and literacy coach. Although a California native, Anne seemed destined for Seattle, as from an early age, she preferred rain. She received a Bachelor’s in Writing at the University of California, San Diego. She then attended graduate schools at San Francisco State University, followed by Antioch University in Seattle, where she earned a Masters in Education. To become a teacher-librarian (her favorite job, shhhhh), Anne attended the Library Media Endorsement program at the University of Washington, where she can still be seen often, looking up for gargoyle sightings. In 2017, Anne earned National Board Certification in Library Media, K-12. When not poring over great books or taking classes, Anne enjoys spending time with her family: cycling, skiing, walking, exploring local bookstores, cooking, playing games, volunteering, and tending to three cuddly but demanding felines.